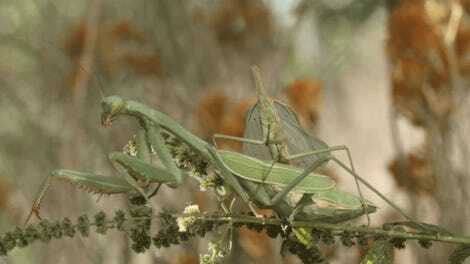 Praying mantises see the world in three dimensions in a way that’s completely different from how vertebrates (including birds, humans, and other mammals) do, according to a new paper in Current Biology. 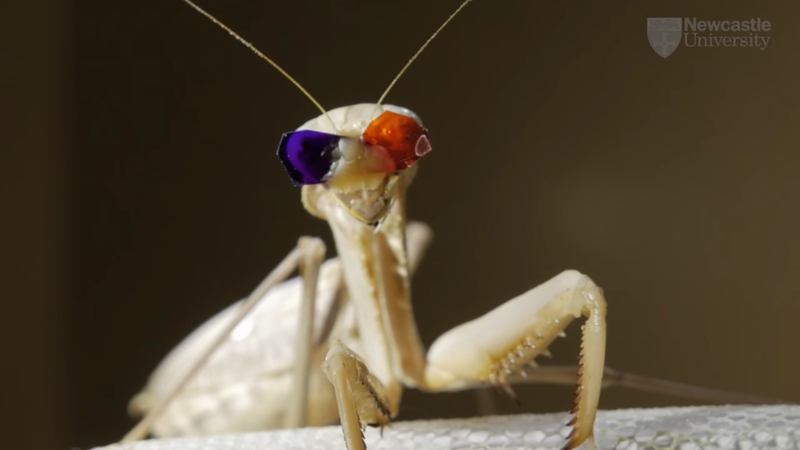 Also, studying this required putting tiny glasses on mantises. Birds and mammals can see in 3D using the differences between the images observed by each eye. But, the researchers at Newcastle University found, praying mantises have evolved a system that’s based on how each image changes. More importantly, as I said before, this involved attaching teeny goggles onto teeny mantis faces with beeswax. This was meant to simulate prey in front of the target, like one of those 3D images you have to cross your eyes to see. When the moving dots arrived to a spot where they appeared at a strike-able distance, the mantis struck. 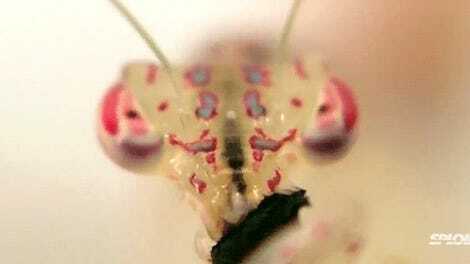 The researchers set up a number of trials comparing how the mantises reacted to different dots moving in different ways. The dots didn’t need to match up to one another, lead author Vivek Nityananda told The Washington Post. They just needed to be moving. It’s not the first time we’ve written about the silly mantis glasses. But the most important difference was, well, last time we learned the bugs could see in 3D. Now we know how. Once again, those glasses. Dang.